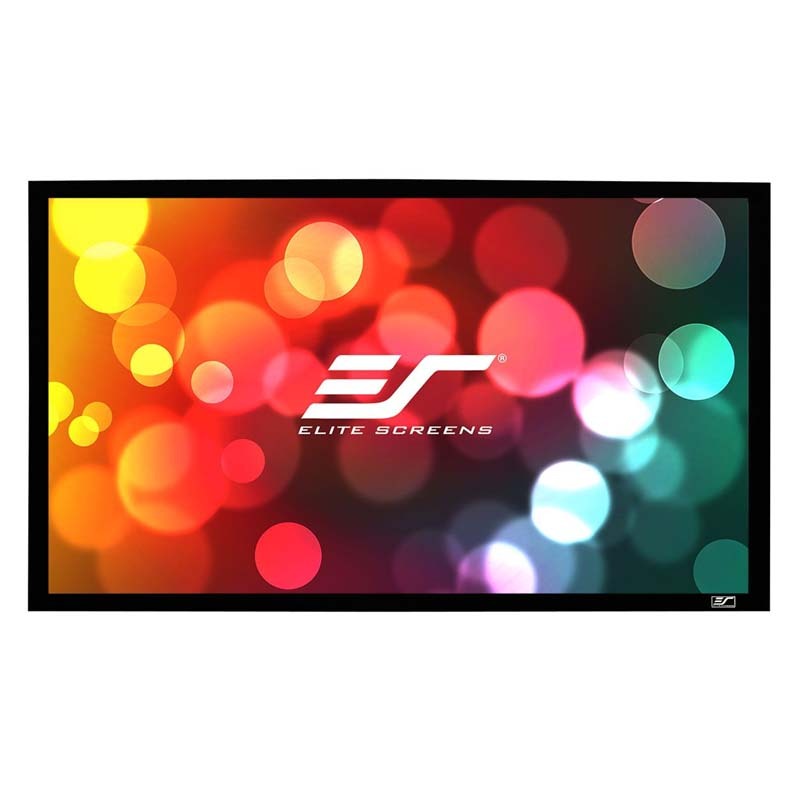 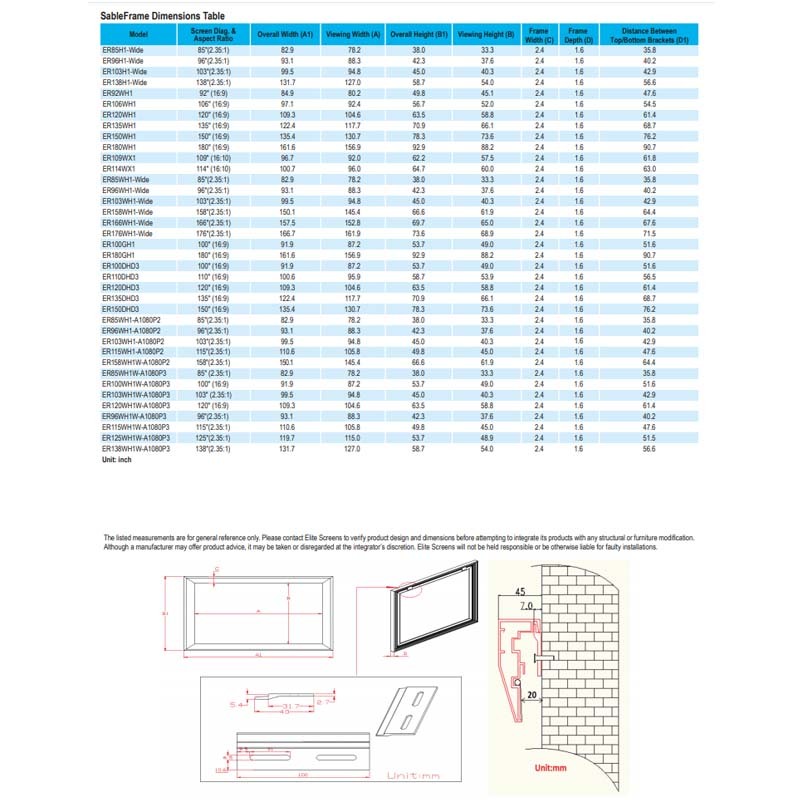 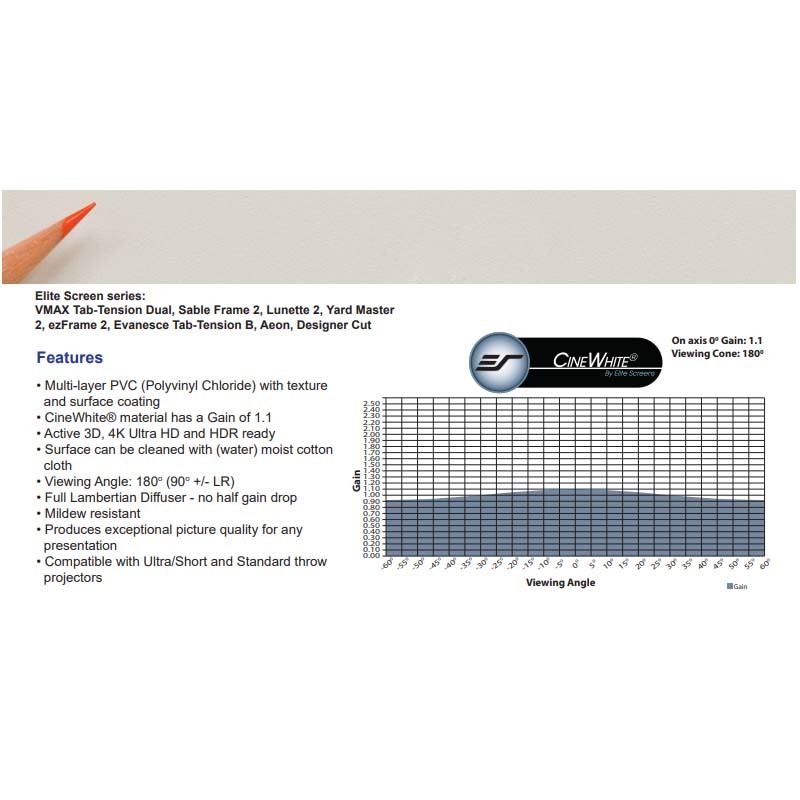 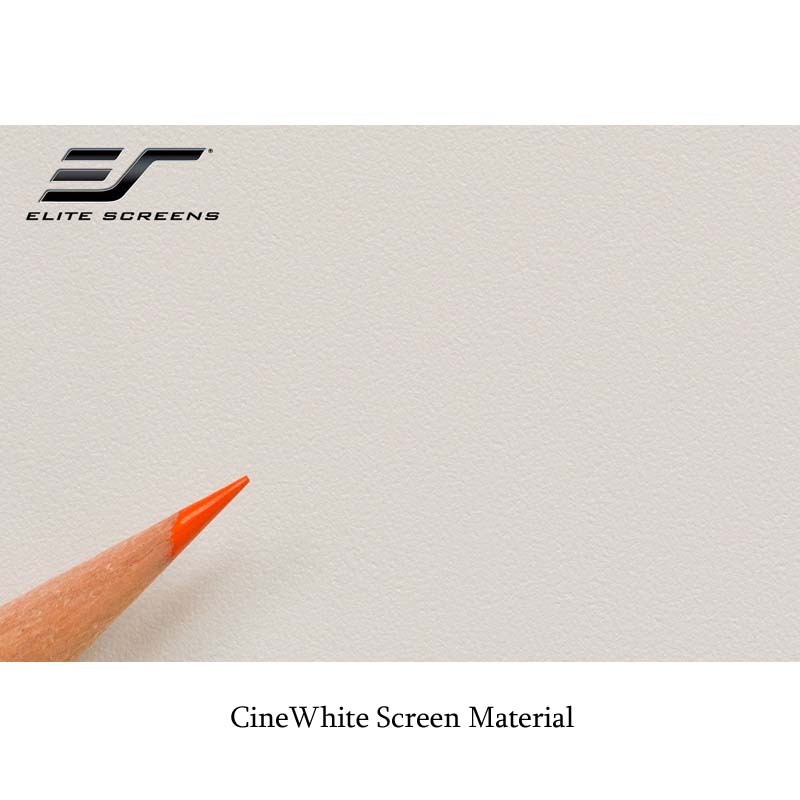 More on the Elite Screens Sable Frame Projection Screen (2.35:1 CineWhite) ER103WH1-WIDE below. 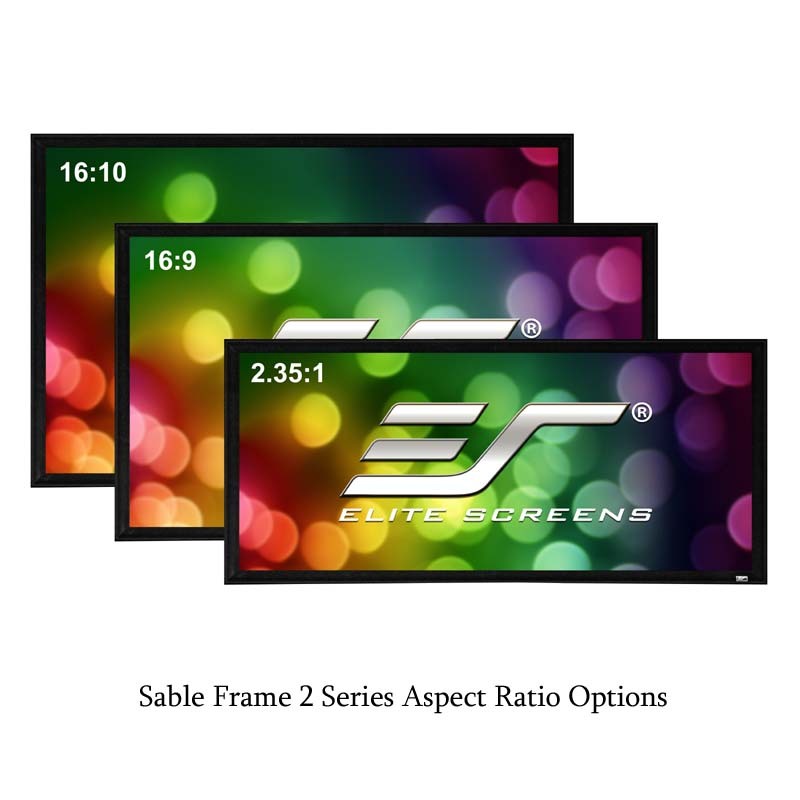 This Sable Frame Series Projection Screen has a 2.35:1 Aspect Ratio and 103 inch Diagonal Screen size. 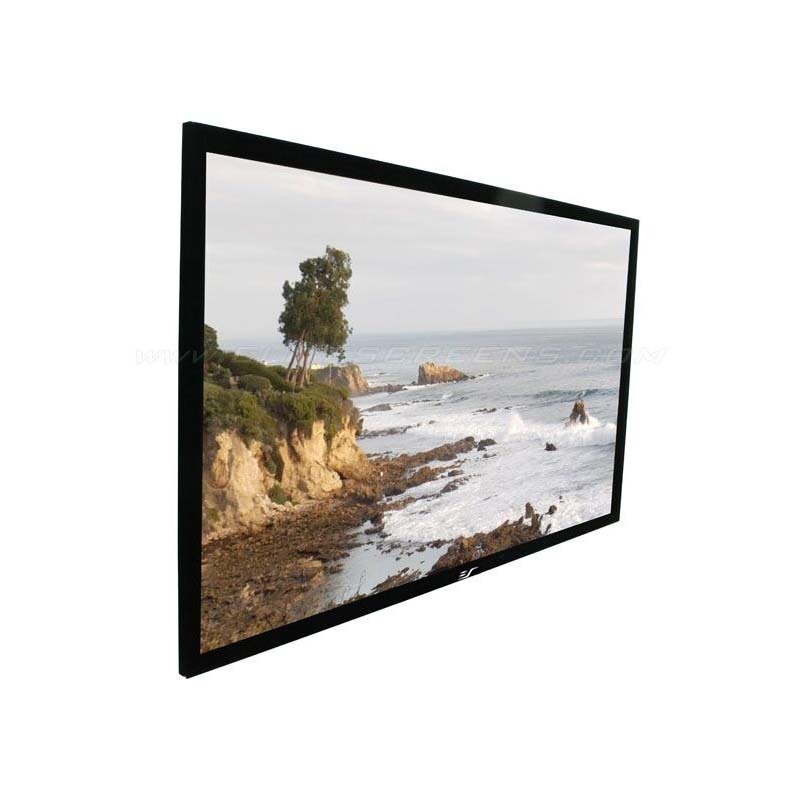 This Home Theater fixed frame screen is designed for today's 720P, 1080P and 4K Home Cinema projectors. 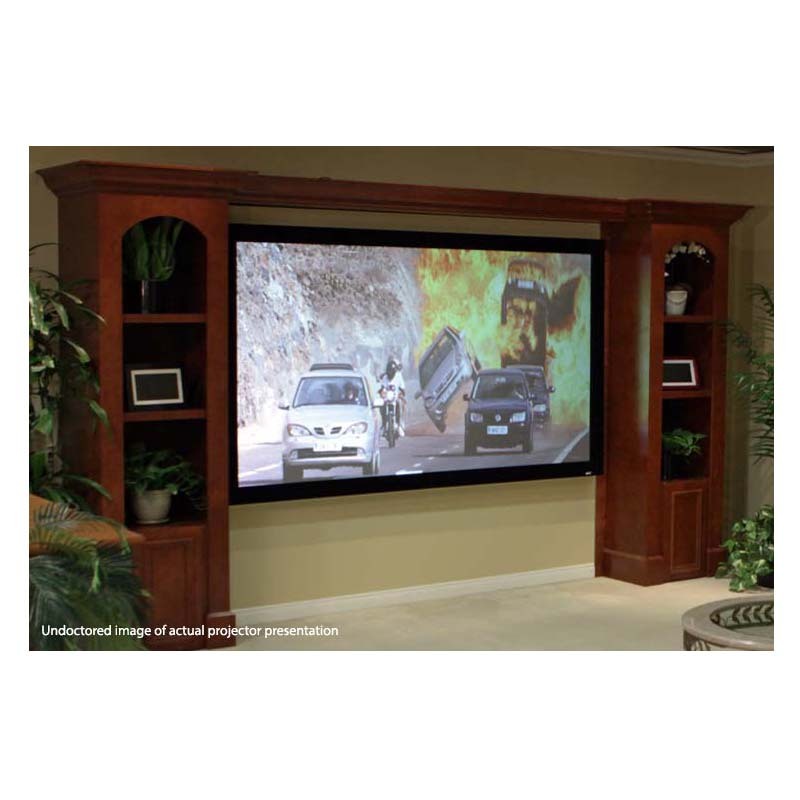 The Black velvet surfaced covered 2.36 inch aluminum frame enhances overall appearance and absorbs projector light overshoot. 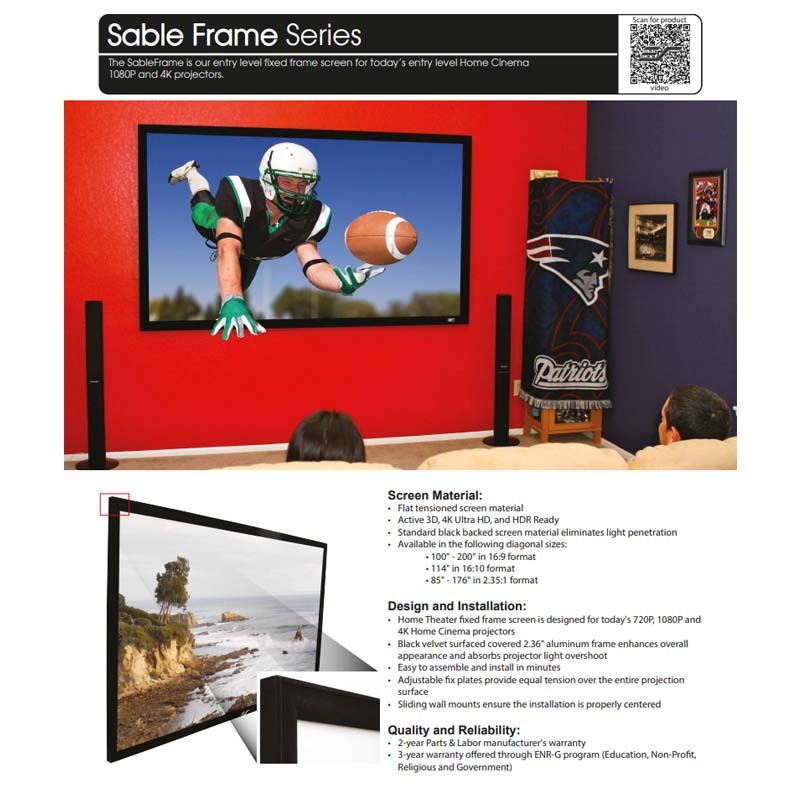 Easy to assemble and install in minutes. 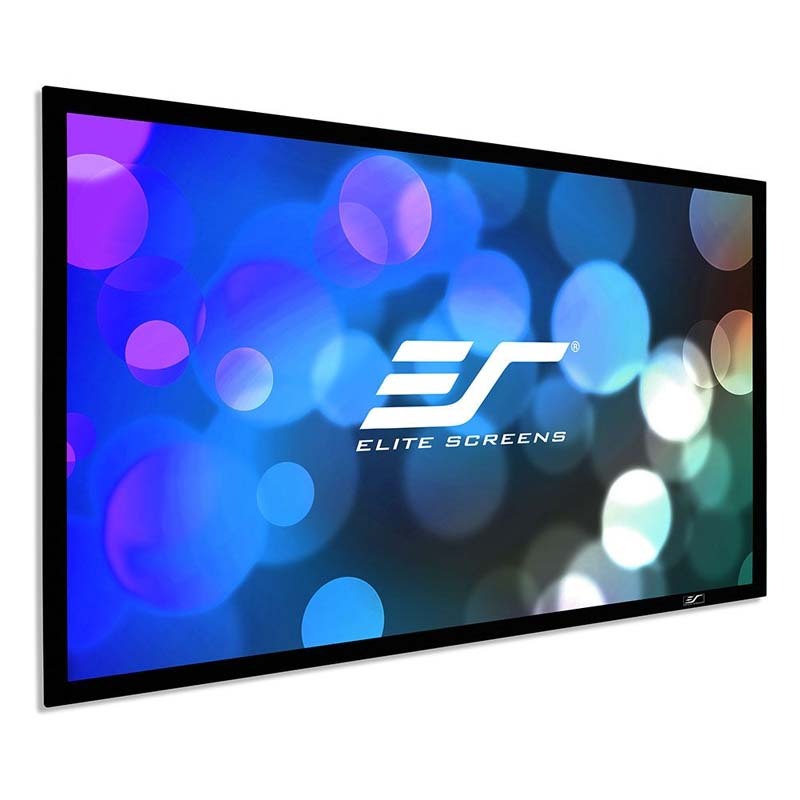 Adjustable fix plates provide equal tension over the entire projection surface, and sliding wall brackets allow screen to slide horizontally for properly centered installation. 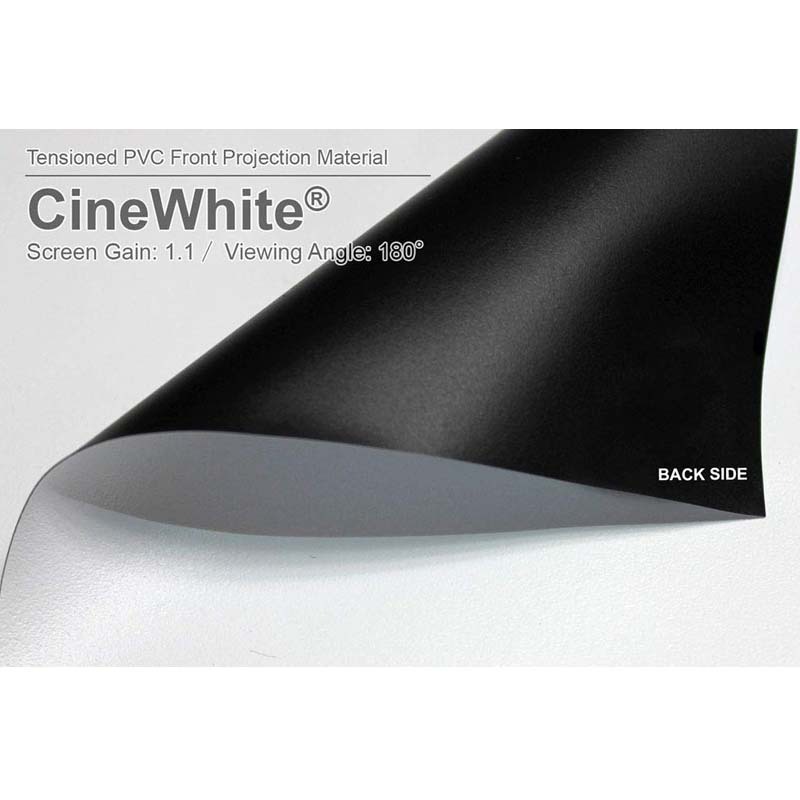 The CineWhite® Material has broad light dispersion through diffusion uniformity, black & white contrast and true color rendition. 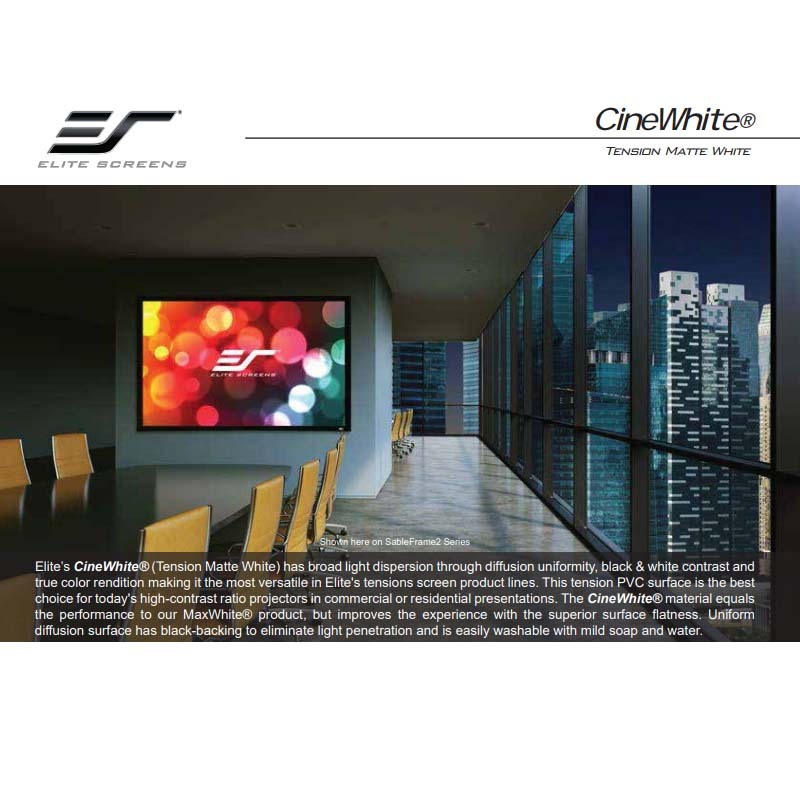 Recommended for rooms with controlled lighting. Works with Standard, Ultra/Short-throw 1080P/4K projectors.